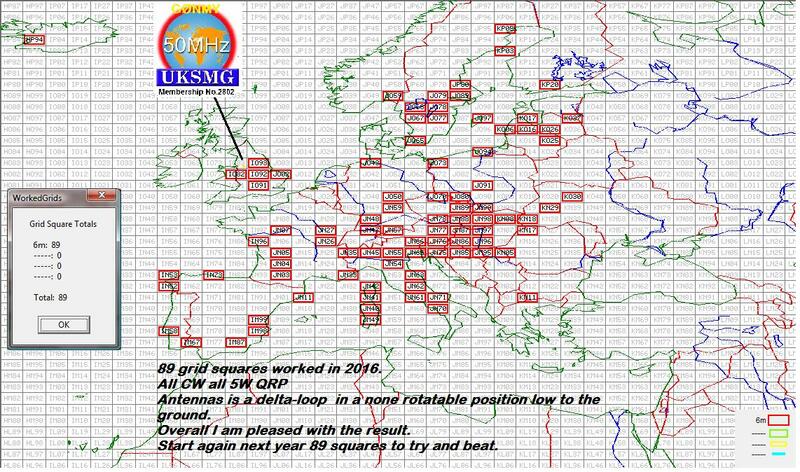 I set myself a challenge to work 5W QRP on the 50MHz band and to see how many IARU grid squares I could make contacts in. To add further to my challenge on 6mtrs I stuck to using my delta loop antenna which is hung above the bathroom in a fixed position. I was nowhere near as active as I could have been and I missed quite a number of openings on the band. Be that as it may, I still think I did really well for a QRP station. 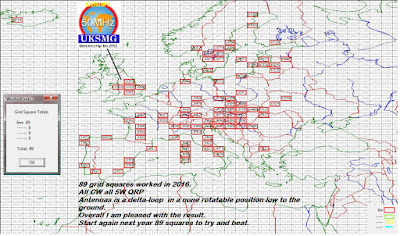 And out of the 89 grids worked resulted in a total of 22 Countries contacted, and while it isnt up there with the guys running full power to large yagi antennas, I am very pleased with the result. 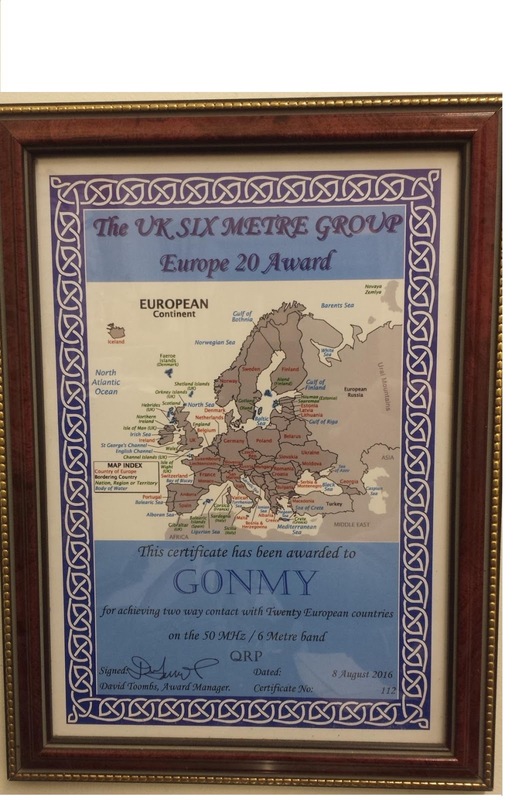 I applied for a basic certificate for working 20 European countries all with QRP . 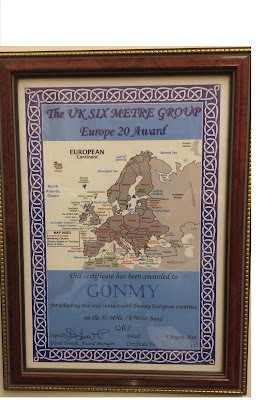 Here it is framed and hung on the shack wall. So for 2017 I will start over again with a target of 89 grid squares to beat and more than 22 Countries contacted. I may need to improve my antenna we shall have to see, and if you hear my weak cw signal calling CQ please answer so I can get your grid square. 73 good DX and Happy New Year!